Plastic Product Packaging – Valk Industries, Inc.
For these reasons and more, as much as 53% of all packaged goods are contained in plastics. Because plastics can also be made clear, they are ideal for easy product display and identification as well. Plastic is used in primary packaging, which is the wrapping of a container handled by the consumer, secondary packaging, which are larger cases or boxes used to group quantities of goods for delivery, and transit packaging, which is used to group products into larger loads for transport, loading and unloading. 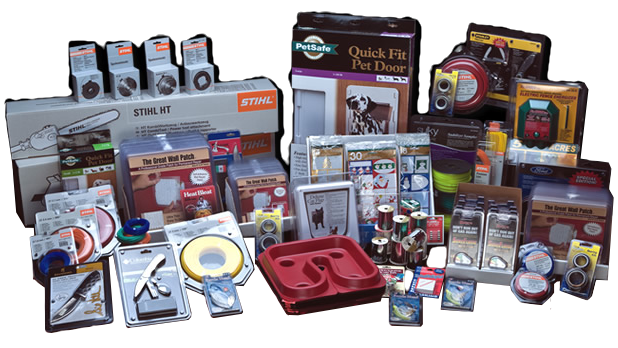 Blister packs, clamshells and other vacuum formed packaging containers are among the most popular options for each of these applications as they allow for individual and bulk product packaging and ensure product security. 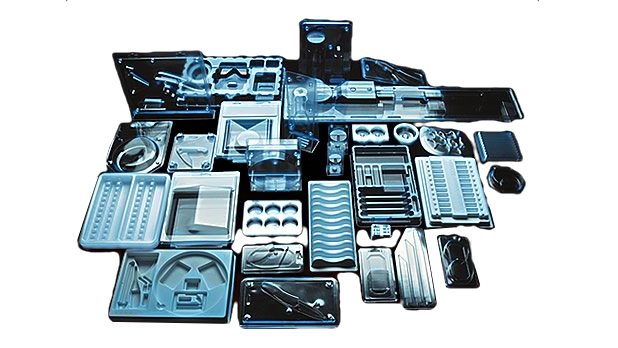 From simple to complex precision part packaging, plastics easily conform to the needs of both manufacturers and consumers as they may be flexible or rigid, textured or smooth, clear or opaque and virtually any size. Additionally, most plastic packages offer some degree of moisture resistant protection. Features such as UV blocking and tamper resistance may also be added to plastic containers and materials, increasing usability to a broad array of industries. The materials used in the production of plastic packaging components are as flexible and diverse as the units. Polypropylene, variable densities of polyethylene, polystyrene and polyvinyl chloride are among the most commonly used resins. It is important to consider the intended use of a product before selecting the most compatible material. The manufacturing processes should also be selected carefully as it will impact both the quality and capacity of the final product as well as price. Plastic injection molding is commonly employed as is blown extrusion film used to make shrink wrap and other direct application packaging. Another popular type is vacuum packaging. As vacuum forming removes excess air from the package saves space and reduces the risk of product contamination therefore creating a sterile environment for medical applications as well as extending the shelf-life of some food products. Thermoforming begins with pre-heating the plastic sheets before guiding them into a form station. The plastic is pressed or stamped against the mold while a vacuum removes excess air ensuring the sheet adheres completely with the mold. In this position the plastic is cooled, becoming rigid. After the primary processes are completed, plastic packaging materials undergo trimming, curing, coating or any other secondary processes required. Plastic Packaging Plastic packaging encompasses all storage or containment devices produced through the manipulation of any number of polymer resins. While the term 'plastics' applies to a diverse group of materials, they are in general light weight, durable and inexpensive to produce.